In the final NBA game played at Philips Arena prior to the upcoming $192 million renovation project, the Atlanta Hawks tacked on one more to the loss column with a 121-113 defeat at the hands of the surging Philadelphia 76ers on April 10. The win marked the 15th straight win for Philadelphia, a new franchise record, while Atlanta finishes its season with a total of 24. The first quarter saw a relaxed Hawks team keep pace with a heavyweight Sixers team focused on escaping with a valuable win. An early sequence exemplified the atmosphere: With a free lane to the rim, 76ers self-proclaimed Rookie of the Year point guard Ben Simmons layed in a cautious two-handed dunk. 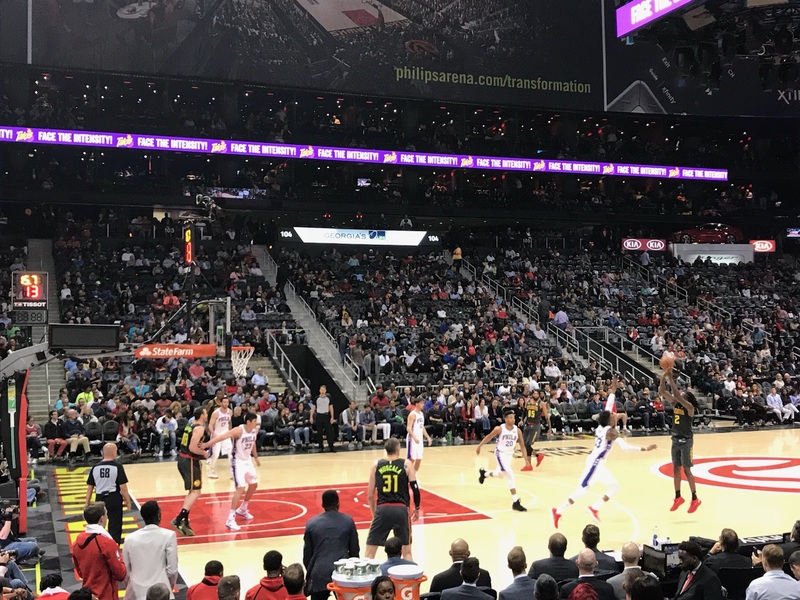 Faced with a similar situation just minutes later, Hawks small forward Taurean Prince tossed an alley-oop to power forward John Collins for a tomahawk slam. The jam set the tone early for the Hawks. After his 33-point performance against the Boston Celtics on April 8, Prince continued to impress. He led the Hawks in scoring with 27 points, including a trio of three-pointers in the first quarter, which garnered a 32-27 lead. “It feels good, gives me a lot of confidence going into the summer,” Prince said of his recent performances. Philadelphia shooting guard J.J. Redick answered with some sharp shooting of his own. His 15 points in the first half led the way for the Sixers, who held a slim 61-55 lead at halftime. Redick finished with a game-high 28 points, shooting six of nine from behind the arc. A total of 18 turnovers, combined with frustration technical fouls by Simmons and Redick, kept Atlanta within reach. Nevertheless, three-point shooting and a balanced scoring effort with key contributions from Philadelphia shooting guard Marco Belinelli (20 points) and former Hawk power forward Ersan Ilyasova (26 points) proved enough to down the short-handed Hawks. The loss puts to bed a season that Hawks fans would rather soon forget. Atlanta closed out the year with a 24-58 record, good for last place in the Eastern conference, tied with the Dallas Mavericks for the third worst record in the NBA. The Hawks hold a 42.3 percent chance of claiming a top-three pick in the 2018 draft, and a 13.7 percent shot at the No. 1 pick, according to Bleacher Report. 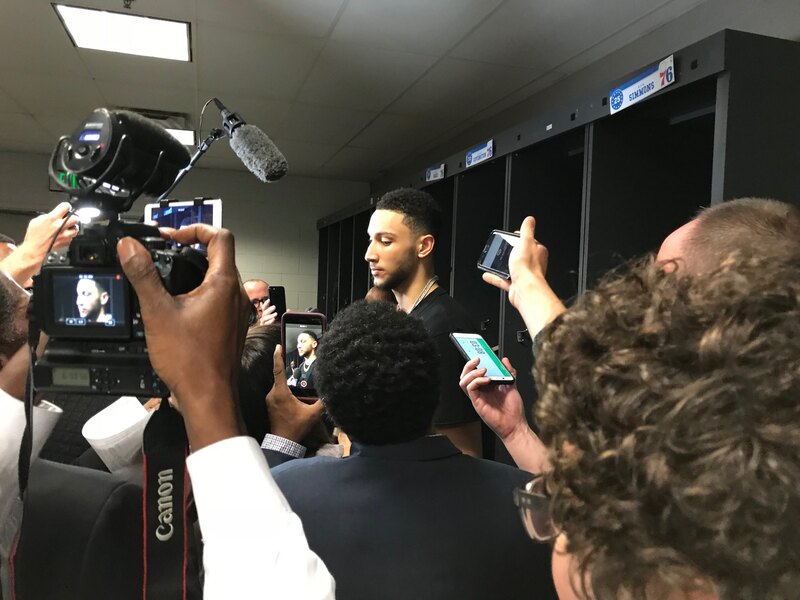 Hawks fans can also celebrate the Minnesota Timberwolves’ win over the Denver Nuggets on April 12, which clinched a playoff spot for Minnesota and, in doing so, dealt the team’s first-round pick to Atlanta. In addition to the Rockets’ first-round pick, Atlanta now holds three of the first 30 picks in the 2018 Draft. 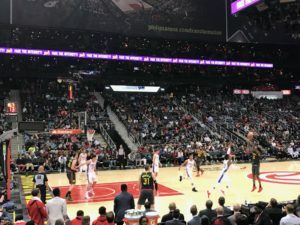 It was a rough year for Hawks fans, but Head Coach Mike Budenholzer expressed his pride in the team’s work ethic, spirit and growth, despite the rebuilding season. Philadelphia still needed one more win on April 11 to secure the No. 3 seed in the East, which they managed to obtain rather handily in a 130-95 annihilation of the Milwaukee Bucks. The Sixers close the regular season with a 52-30 record and will match with the Miami Heat in the first round of the Eastern Conference playoffs. The sweatshirt was a dig at Simmons, who qualifies as a rookie despite it being his second year in the league. “I’mma be biased here and go with my man, Don,” Collins said. [email protected] | Kevin Kilgour (18B) is from Wichita, Kan., majoring in English and business administration with a concentration in marketing. This past summer, he worked as a communications and development intern at Global Growers Network. Some of his greatest sports accomplishments include predicting Butler’s 2010 Final Four run and leading PAL Group One Eight (gold is our fate) to an Oxford Olympics championship. One of his goals in life is to write Derrick Rose’s biography.